One of the best things about living here is that even though Memphis is very much a city, there are a lot of places where it's easy to forget that. My favorite is Overton Park, the giant area in Midtown that is home to the Brooks Museum, the Memphis College of Art, a golf course, the Memphis Zoo, the greensward (that's the formal name for the giant field), and the Old Forest. 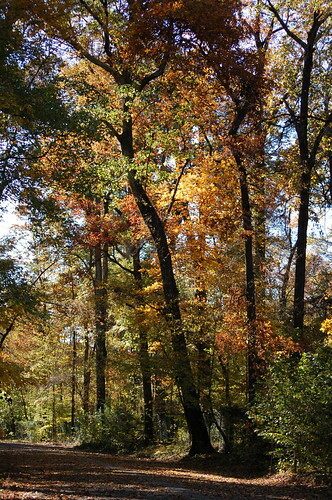 The Old Forest is a huge 172-acre wooded area that is one of the only old growth forests left in Tennessee. 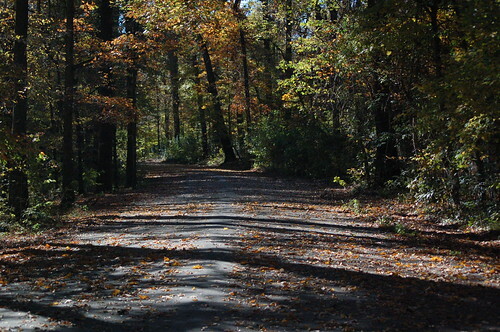 There are some paved trails through it that are perfect for walking and biking. Even though the forest is bordered on one side by East Parkway, it's a completely quiet, tranquil place. The old forest has its own activist group – the Citizens to Preserve Overton Park are dedicated to preserving this beloved bit of Memphis.